Will and Kate's World: Spring? Or Summer? The weather was so pretty this afternoon. 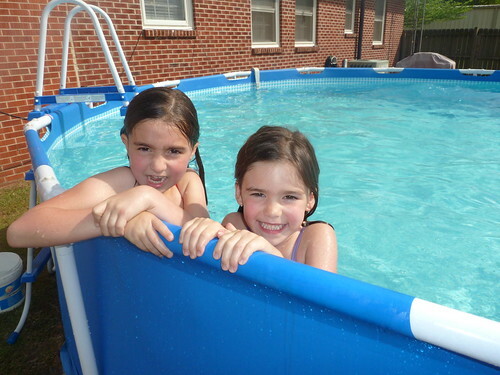 After playing outside, the girls complained that they were hot so I let them swim in the pool. They were in about fifteen minutes before they started turning blue. 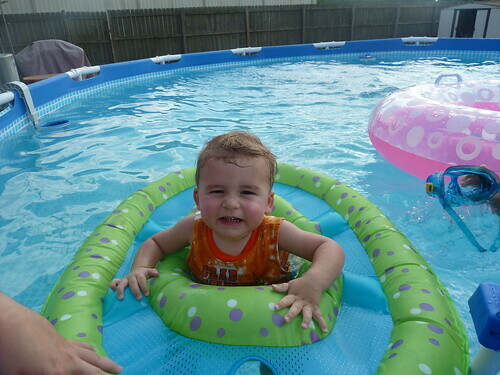 We even let Luke in the pool for about five minutes and then I made them all get out. Nonetheless, they had a great time! Isabelle said, “I didn’t know it was summer yet.” I told her it was still Spring, even though it felt hot enough to be summer. 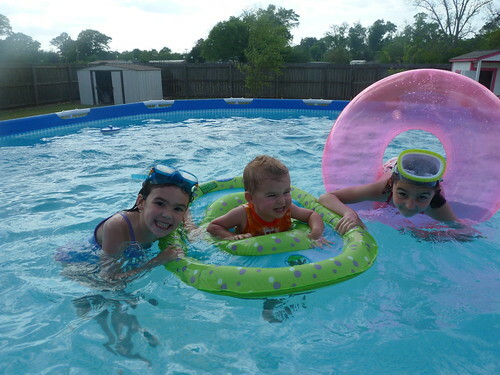 Here are a few pictures of their first swim in the pool this year.